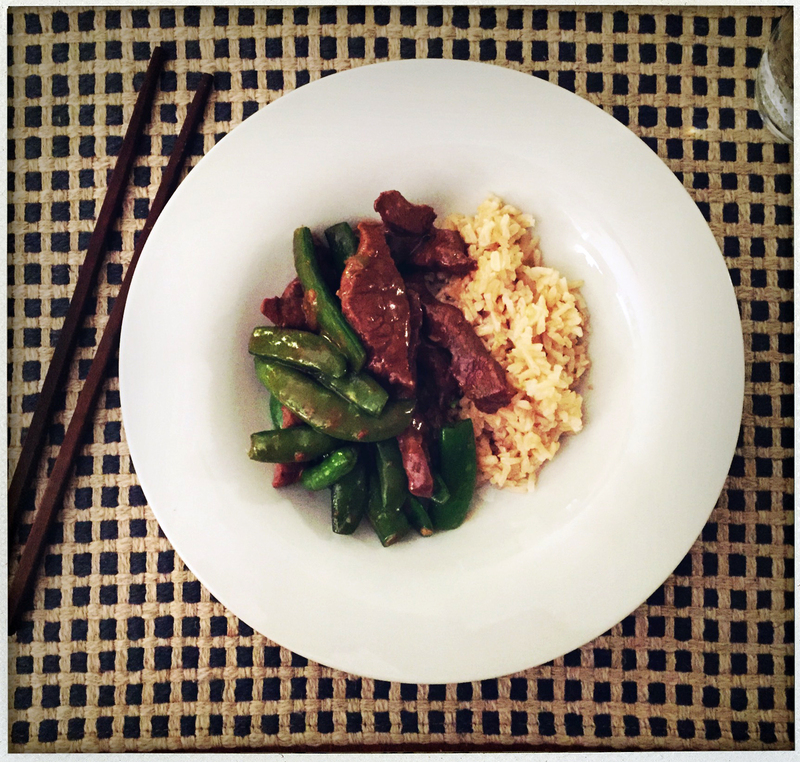 Stir fried beef with snow pea pods– a favorite around our house. I try to always have about a pound of good quality beef around… cut into strips and ready to throw onto the wok. (Yep, that same wok that spent years languishing unused on the shelf is finally coming into heavy rotation.) Because when you needed dinner to be on the table 15 minutes ago, this recipe can’t be beat. Absolutely first thing to do is get your rice going. Next, start the beef soaking in soy sauce and sesame oil. Once that stuff is happening, you just prep and chop the veggies, heat up the wok and go. 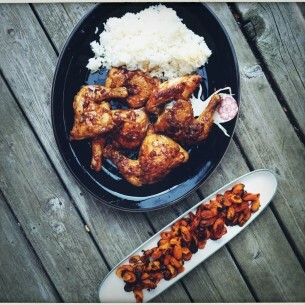 It’s amazing how fast you can get a delicious and semi-exotic meal on the table. And if you play your cards right there may even be leftovers for lunch the next day. In a medium bowl, mix beef, 2 tablespoons tamari, sesame oil, salt and pepper. Set aside. Thinly slice sugar snap peas crosswise into disks. Thinly slice scallions, reserving dark green parts for garnish. In a small bowl, mix chicken broth, Madeira, 2 tablespoons water, remaining 1 tablespoon tamari and cornstarch. Heat a large skillet over high heat. Add 2 tablespoons oil. When pan is hot, stir-fry beef until browned, about 2 minutes. Transfer beef and any liquid to a plate. Add remaining tablespoon oil to skillet and when hot, add garlic and white and light green scallion parts until lightly browned, about 1 minute. Add sugar snap peas and chicken broth mixture, lower heat to medium and cover. Let cook for 2 minutes. 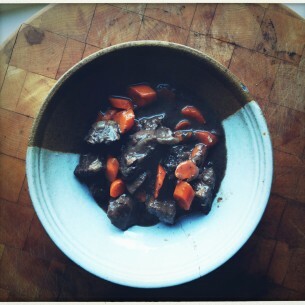 Transfer beef and juices to skillet and stir-fry 2 minutes. Serve over rice, garnished with more sesame oil, sesame seeds, dark parts of scallions, and hot sauce or vinegar and chili oil.